So how can we boost our Omega-3 levels and improve our Omega-6:Omega-3 ratio? Now you know all about Omega-3 from our last blog post, what do you do to get more of it? Liz Sergeant, our Resident Nutritionist, unlocks the secrets of oily fish, seeds, different oils, and ratios. Alpha-linolenic acid (ALA) - 18 carbon atoms. The main difference between these forms are the number of carbon atoms in their chemical structure. EPA has 20, DHA has 22 and ALA has 18. Now this is where is gets interesting… In order to use Omega-3 our body naturally requires Omega-3 in the form of EPA and DHA (20 and 22 carbon atoms). If you consume it in the form of ALA our body has to convert it to EPA and DHA but this is an inefficient process and our bodies capacity to do the conversion is further impaired by the presence of an overabundance of omega 6 fats. So what do we need to eat? The best way to increase your Omega-3 intake is to eat plenty of oily fish. Oily fish contains the version of Omega-3 (EPA & DHA) that our bodies can use without any extra work required. 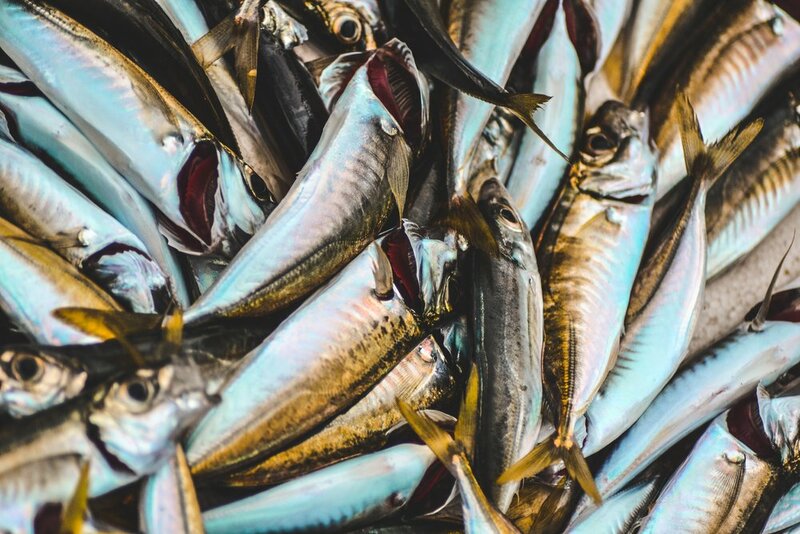 Good sources of EPA and DHA Omega-3 are salmon, mackerel, tuna, herring, and sardines and to a lesser degree white fish including bass, cod and tilapia as well as other seafood. The ALA version of Omega-3 is found in plants such as flaxseeds, walnuts and chia seeds but remember these will require converting in your body. You can now readily buy other DHA and EPA Omega-3 animal products such as eggs. These chicken have been fed a diet high in the plant based ALA (usually flaxseeds). The chicken then does the hard work for us by converting some of the ALA to the favourable DHA and EPA form. Phew. To improve conversion of ALA Omega-3 to the EPA and DHA forms it’s important to concentrate on eating a diet that is lower in omega-6 fat. One easy way to do this is to avoid highly processed vegetable oils (sunflower/corn etc) as these tend to be both high in omega 6 fats, but also at risk of being oxidised, and causing further oxidative stress to the body. Replace these fats in your cupboard with olive oil and coconut oils for example. Seed oils rich in omega 3 are flax seed oil and walnut oil - but do not use at high temperature as they are not stable at heat. If you chose an omega 3 supplement, absorption is improved if you take it with a meal which includes other (healthy) fats - for example some nuts or avocado. Learn more about postnatal and family nutrition by following our Instagram feed! Older PostOmega 3: What's all the fuss?